Spending almost a decade finding an ever-growing number of buyers, the old A5 Cabriolet built a reputation as a safe and solid car, but one with sporting pretensions and a very premium presentation. It delivered as well, just so long as you didn’t question the sporting side too hard. This new version builds on what has gone before, offering exactly the same balance of abilities but wrapped up in a new, sharper suit. It’s now based around Audi’s MLB Evo platform, and that means it shares most of its underpinnings with the A5 Coupe I drove last year. It shares most of the same styling cues, from the large Audi grille, through the strong creases around the curvaceous bodywork. 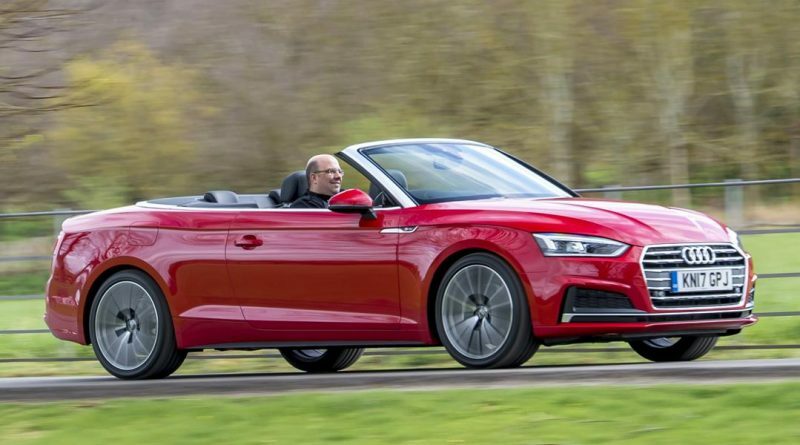 Under the bonnet is a 2.0-litre turbocharged petrol engine that develops 252PS that will carry the A5 Cabriolet to 62mph in 6.3 seconds via a seven-speed dual-clutch automatic gearbox. Peak torque is measured at 370Nm which makes the car feel satisfyingly zesty, with plenty of push available from a little as 1,500rpm. For those keen to unleash the sporting potential of the car, it’s worth noting that the engine isn’t the most mellifluous unit you’ll ever find, while the car itself doesn’t encourage on-the-limit driving. While the car has shed some weight from the old model, it’s still north of 1.7 tonnes which means that, even in quattro four-wheel drive spec as this car is, it’s rather unwieldy when pressing on. That four-wheel drive system might well provide a little extra grip in adverse winter weather but, for the most part, you’ll never notice the difference beyond the extra weight you’re carrying around. 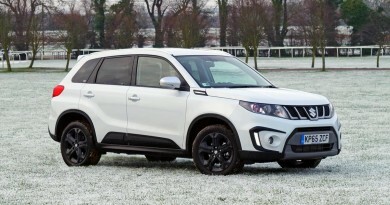 The standard front-wheel drive setup is predictable and secure, while winter tyres will cover off the other benefits. As tempting as this 2.0-litre petrol model might be, it might also be worth looking at other engines in the range, too. 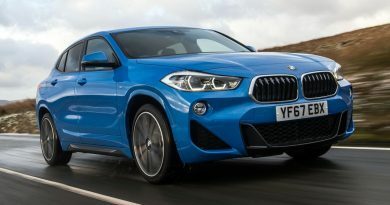 The diesel engine of the same size is surprisingly refined and well insulated, even with the roof down, and offers real-world economy of 40-50mpg, compared to the 25-35mpg of this petrol option. If it’s performance you’re after then the S5 will be a better option. A smooth 3.0-litre V6 petrol engine produces a formidable 354PS of power, which should keep anyone happy until an RS5 undoubtedly appears in a year or so. Keeping it real and ignoring those sporty temptations, the A5 Cabriolet is a glorious place to while away a long journey. After putting the roof up – something that can be done at speed of up to 30mph and takes 18 seconds or so – the interior is disturbingly quiet, allowing you to easily forget that the top comes off at all. Fold it back down and it hides away under a hard cover, with no loss of boot space thanks to some clever internal packaging. There’s a wind deflector that slots in across the rear seats and makes a good attempt at keeping a cold breeze off your neck, but the loss of those seats could be an issue for many. Fortunately the full wind-in-the-hair experience can be had with four passengers in the car, and remains a pleasing unruffled experience up to about 60mph. Above that speed you’ll be reaching for the window switch to try and keep some of the bluster that appears at that point out of the car. Soon after you’ll be stopping to put the roof up, no matter what the weather is like. Motorway runs are, seemingly, a roof up affair, but at least there’s still plenty of headroom for all four passengers. With a slightly longer wheelbase than previously, there’s also marginally more legroom in the rear as well. As with the Coupe, the interior is first-rate, with excellent quality materials chosen throughout and a perceived build quality that’s second to none. At its heart then, the A5 Cabriolet retains everything that makes the Coupe such a compelling choice; there’s the combination of discrete but purposeful styling, the oozing of status (real or imagined) and refinement that’s good enough to make the longest journeys a breeze. Throw in a bit of practicality and take the roof off and you might think the A5 Cabriolet could be the perfect car. It’s not, although it’s not far off, but how good it is really depends on your individual needs. Want to transport four in cosseted comfort? The Mercedes C-Class is probably a better bet. Want to sling a car sideways on the exit of every roundabout? The BMW 4 Series will make a better companion. For those that sit somewhere between the two extremes, it’s difficult to argue against the Audi.